A parent company isn’t all that different from a real parent. They feed you, and give you money. They give you advice (sometimes more strictly than others). And, yes, they embarrass you. Speaking of, today our proud parent company Aol, with vast experience in the retail, online retail, online business, has launched an online storefront for its brands, including TechCrunch. Welcome, dear readers, to the grand opening of the Aol store, where you can “Fly Your Aol Flag.” (Seriously, that’s the subject of the internal email we were sent about this. No joke!). The AOL Shop offers the most sought after, in-demand and useful products for you, your family your friends, your clients, those difficult people on your holiday shopping list and practically anyone else you can imagine. We choose products based on quality, brand, environmental impact and, of course, our completely scientific Hipness Factor™. These items are not only rare, they’re coveted by folks that don’t have the kind of access to our private stock that you do. So go on. Fly your AOL flag. You may turn a few heads. 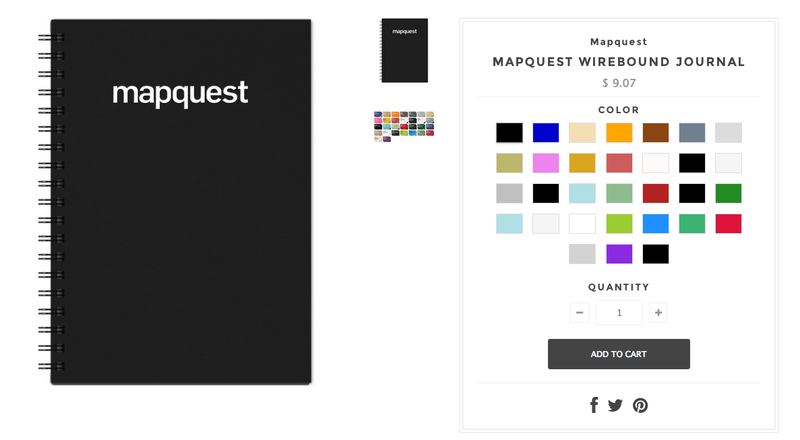 I can’t decide what is less relevant: the journal or MapQuest? Adap.tv is huge with babies. So this makes sense. 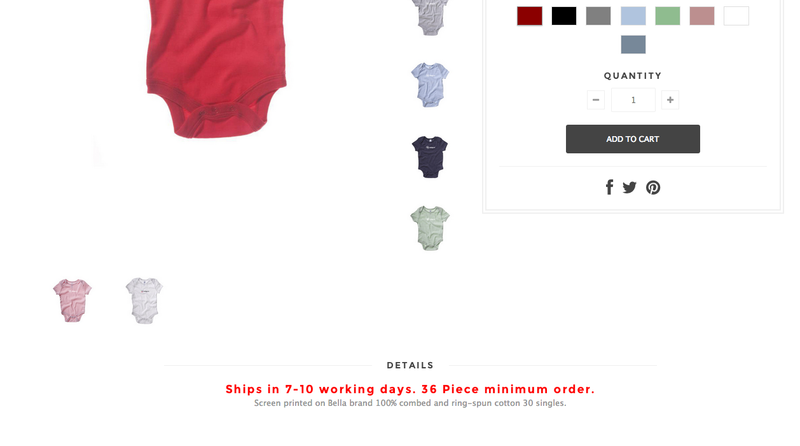 Until you scroll down and realize you need to buy 36 units of the onsie to check out. Polygamist cult leaders will swoon! Talk about going green, AMIRITE? Aol is offering so much value to its customers that it can’t even fit all of that value into the packaging. Because this brightened our Friday in an unexpected way, we’re sharing the conversation directly from the TechCrunch internal message boards. Enjoy! 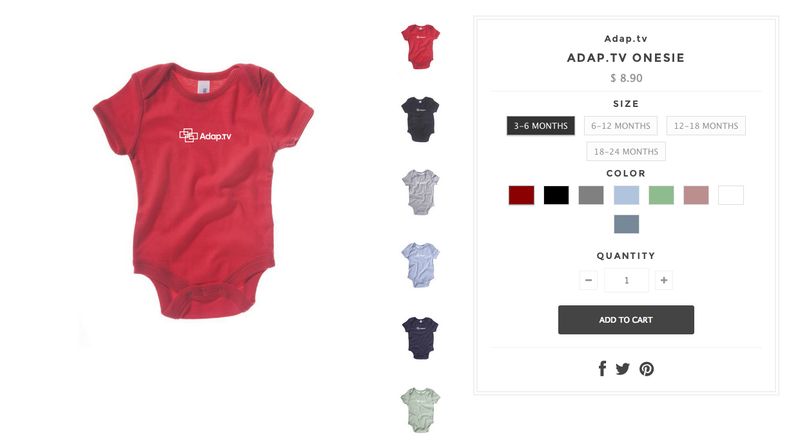 Andrew: Who wants TechCrunch Whisky Glasses and Baby Onesies? Anthony: Oooh can we get them in NYC? Ryan: ‘The AOL Shop offers the most sought after, in-demand and useful products for you, your family your friends, your clients, those difficult people on your holiday shopping list and practically anyone else you can imagine. Greg: our entire store should just be that whiskey glass. Matt: I would like one, please. Matt: do we get a discount on this stuff? Sarah: how long have we had a store? Matthew: @Greg The fact that they’re minimum order of 36 tells me these are supposed to be for sale TO AOL’s internal brands, not outside. Sarah: this convo thread could be the whole post. Travis: So….this store is open to all AOL employees. That means MapQuest and Cambio can get TechCrunch swag. Matthew: My father in law does screen printing and embroidery (essentially all of this stuff) and these prices are insane. Sarah: @Matthew how fired is the person who blogs this? serious question. Jordan: i won’t get fired tho right? So, if you and 35 of your closest friends want to get together and purchase a host of hoodies, go for the TC one. Represent.